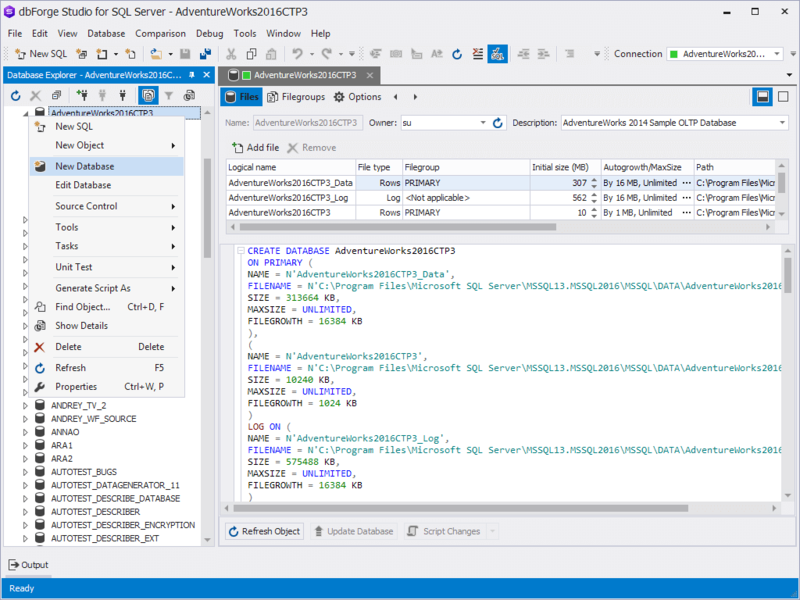 dbForge Studio for SQL Server provides a set of definitive visual database tools designed to simplify and improve database modeling. The Database Designer functionality comprises of Database Diagram, Database Editor, and Table Designer, that ensure you have everything you need for fast and effective completion of database design tasks from visualization of the entire database structure to configuration of a trigger. 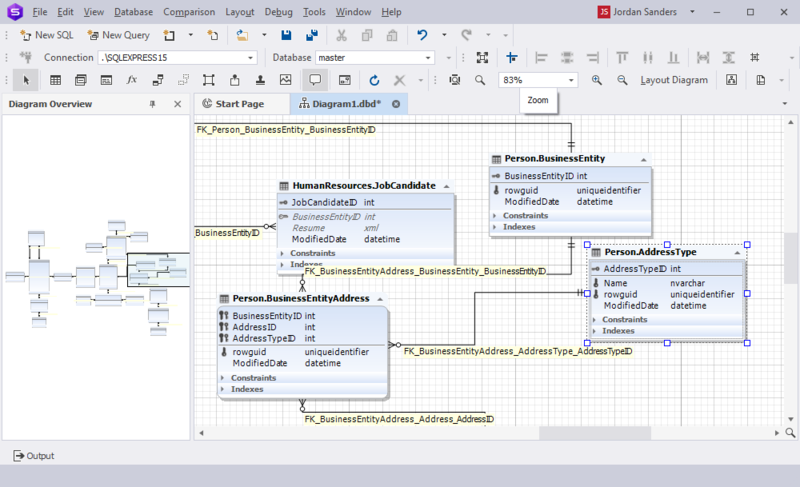 Drag and drop database objects from Database Explorer directly to diagram. 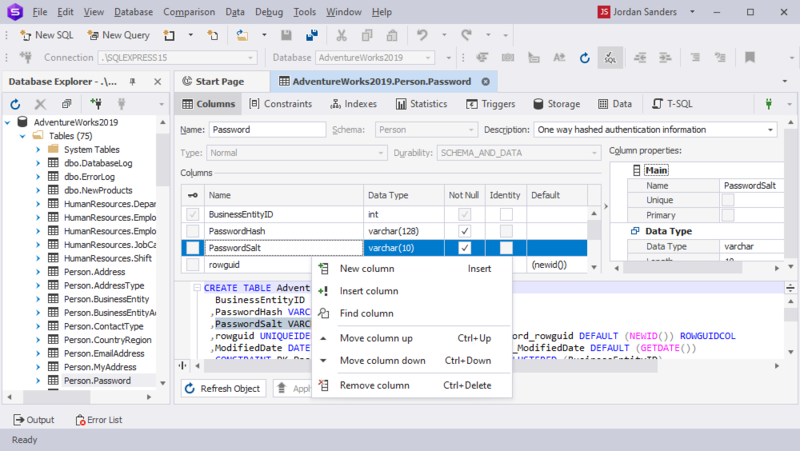 With dbForge Database Editor, you can easily create and configure a new SQL database, or quickly edit an existing one.